Series for washing and care of thin and delicate hair without volume. Specially developed, rich recipes with carefully selected active ingredients in high concentrations ensure effective treatment. 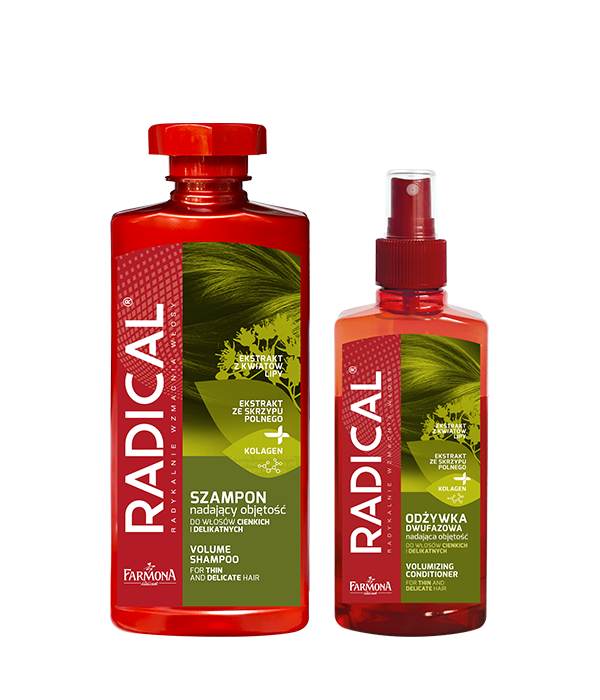 Regular use of RADICAL series products clearly strengthens and protects the hair from damage, improves its dynamics and elasticity, rises the hair at the base and adds volume, leaving the hair light, fluffy and shiny .